The cushions bewitch any kid`s room into a little garden. The cotton fibers are woven and dyed in Germany and nestle gently on sensitive children’s skin. The high environmental standards ensure unencumbered gaming fun. Whether cushion cherries or apple tree – the carefully crafted cushions are characterized by deep natural color. All cushions are washable and dryable. The small pillow leaf of pollution-free organic fibers acts as a clever natural healer. At the backside a pocket is integrated, which can host a grain or heating pad. The sweet cushion is the perfect comforter to fight stomachache and cold feet. 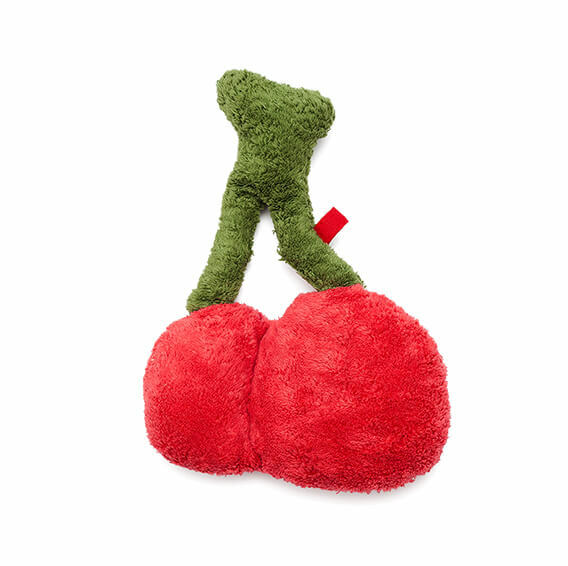 Let your little ones have fun with pears, apples and cherries. Guaranteed organic and guaranteed stain-free. Do you like more fruits at home? Than have a look to our cushion – pear.